In September, our new children quickly settled in and have learnt so much already! We have been learning how to select our own lunch, hang up our coats and find our name cards. We are becoming so independent. We have been looking at the story of ‘Whatever Next’ and retelling the story with actions. We have loved going into space! 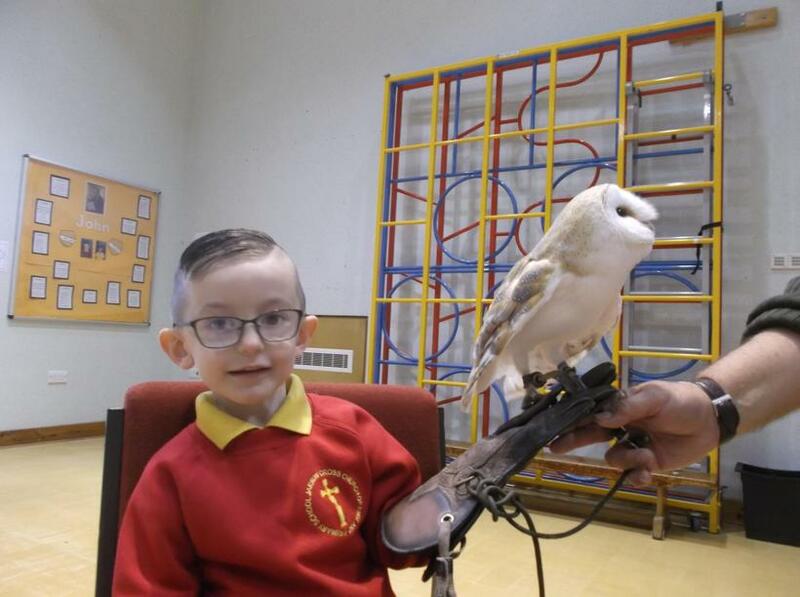 In October, we invited our parents in to enjoy a short performance of ‘Owl Babies’. They warmed up with some autumn vegetable soup and took part in autumn craft activities. We really enjoyed having them here! 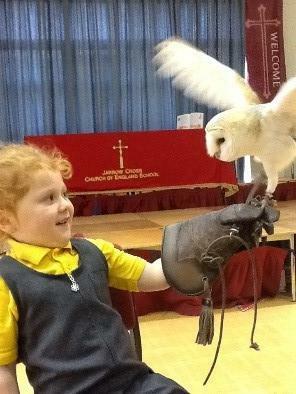 We also welcomed some owls into school for a visit and were brave enough to hold them ourselves. We have been working hard in Phonics and have been learning all about the numbers 1 to 5. We can't believe how much we have done already in our first half term at Jarrow Cross. In November, we have been retelling the story of ‘Dear Zoo’ and have even made our own flap books, which we are very proud of. We have been identifying and describing shapes, creating patterns and exploring money. 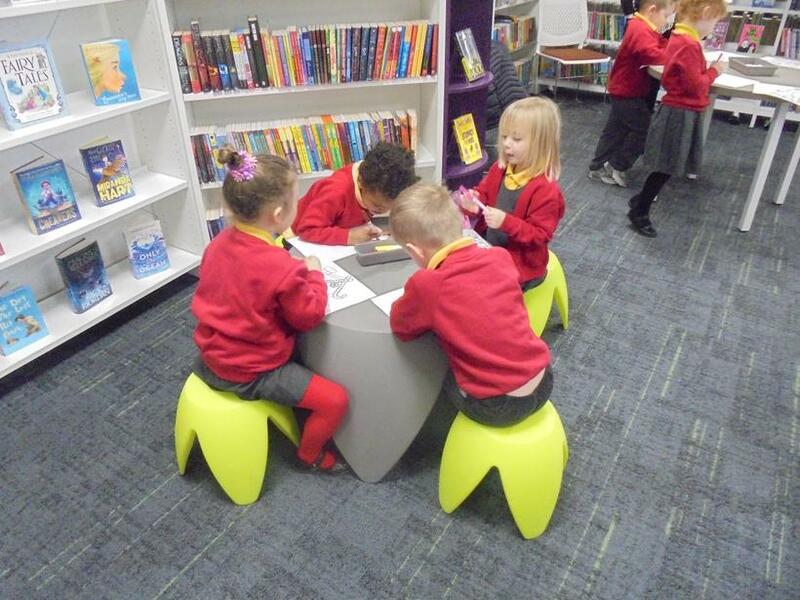 We went for a lovely walk to visit Jarrow Library for a special story time. We also received a visit from some nurses, who talked to us about how important it is to wash our hands properly. December was such a busy month for us! We visited Santa and his reindeer at Down at the Farm. 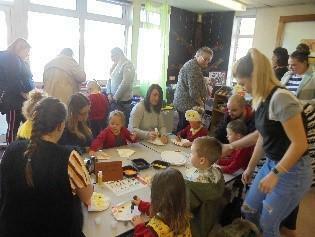 Our parents joined us for Christmas crafts, and we were so proud to show them our fantastic Nativity performance. We also had an exciting visit from Bezerkas, who helped us to learn some circus tricks. Alongside all of the festivities, we also worked so hard on our Literacy and began to learn about addition in Maths. 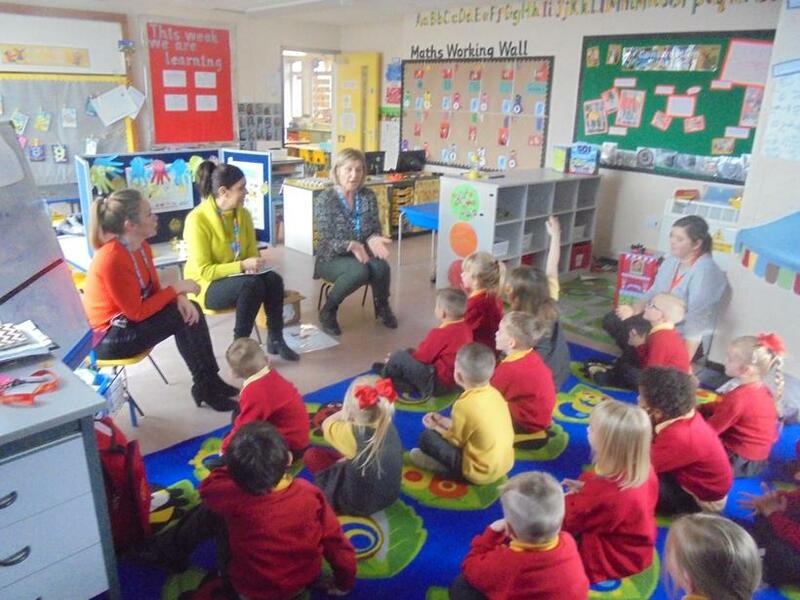 In January, we have been learning about traditional tales, particularly 'Goldilocks and the Three Bears'. We have been making porridge, writing recipes and recording our favourite toppings. Using the Talk 4 Writing programme, we are becoming fantastic storytellers! We have also continued our learning about addition and subtraction. During February, we have been enjoying the story of 'Jack and the Beanstalk'. We planted some magic beans and a beanstalk grew in our corridor! We planted our own beans to look after at home and we have been exploring capacity using lots of practical and messy resources. 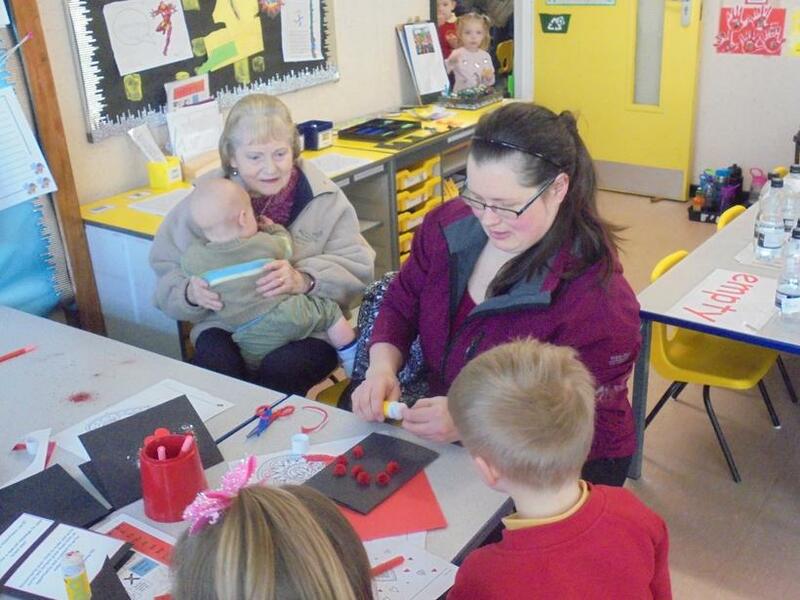 We even squeezed in a walk to the library, Chinese new year celebrations and a stay and play session with our grown ups! What a busy few weeks!